Makerbot—perhaps the most consumer-friendly of 3D printer manufacturers—is about to go a long way toward turning the tech into something consumers can actually use. Starting late this year, MakerBot is going to let you 3D print with a range of new materials, including composites of limestone, iron, and wood. 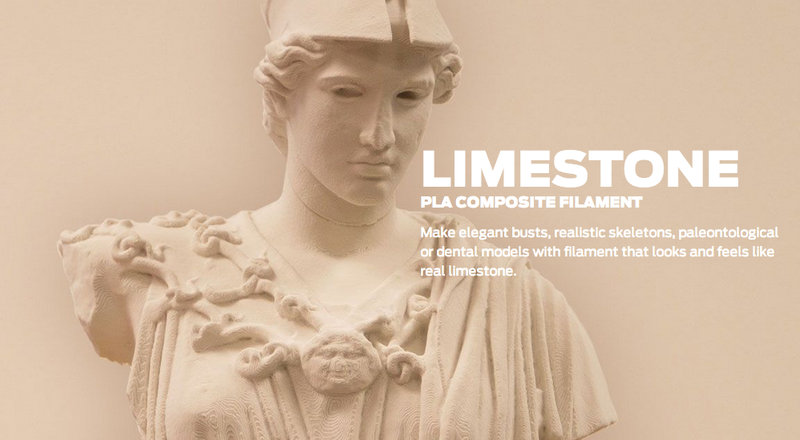 The new PLA filaments are made with composites of the actual material they're meant to replicate, meaning that what you 3D print doesn't have to just be a plastic model of what you want. It's going to look—and feel—a hell of a lot more like the object it's imitating. The new filaments will be compatible with the fifth-generation MakerBot Replicators. All you'll have to do is swap out the extruder, and you'll be ready to print with wood, bronze, or whatever else your heart desires.